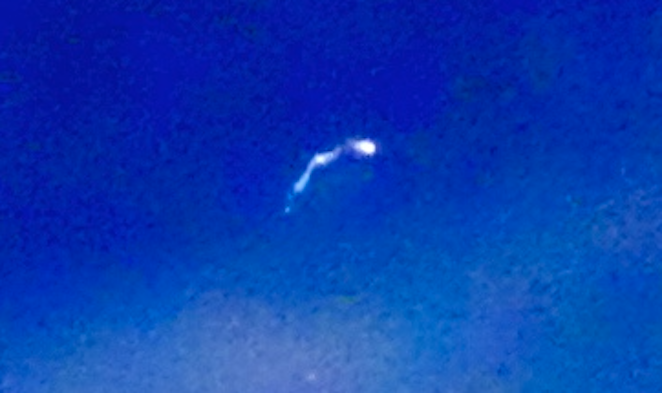 UFO SIGHTINGS DAILY: Arrow-head Shaped UFO Over National Park In Utah, Photos, UFO Sighting News. 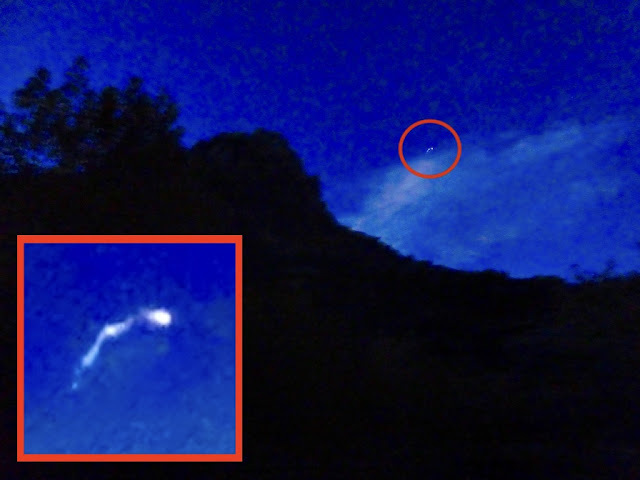 Arrow-head Shaped UFO Over National Park In Utah, Photos, UFO Sighting News. 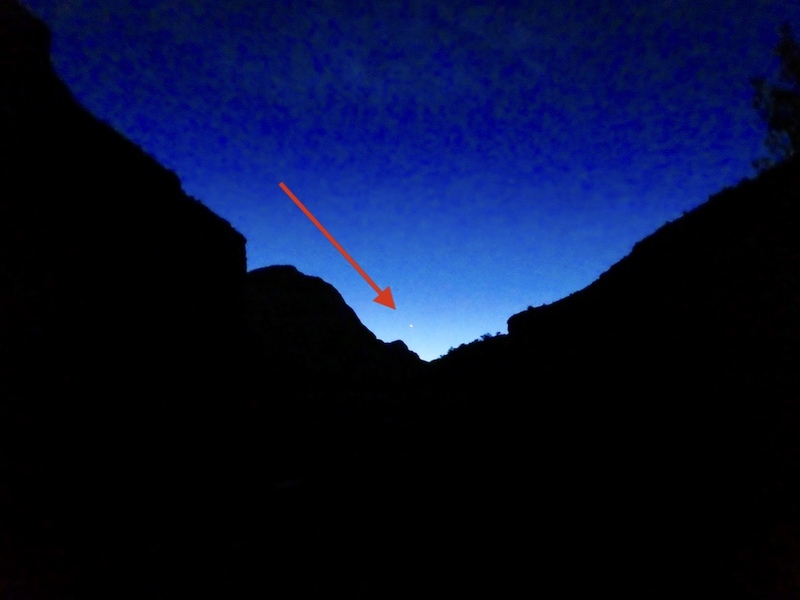 This sighting took place in Capital Reef national park, which has a large area of land and a low number of people in the area. Perfect for a UFO to buzz around unnoticed. However, we are lucky enough to have a statement from and eyewitness who was hiking through the park that day. 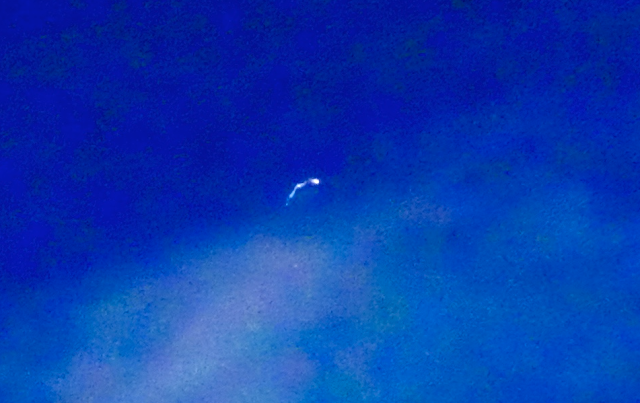 The close ups are breathtaking, showing an arrowhead-like UFO in the clouds. While waiting for sunrise in order to see the hiking path to Hickman Natural Bridge in Capitol Reef National Park, I snapped two photos with my Panasonic LUMIX camera, one looking east and one looking south. The one looking east had a bright star near the horizon over the rock formations and the one looking south had what I thought was the Milky Way. It wasn’t until I got home and looked through my photos that I thought another star was visible in the area of the Milky Way. But when I enlarge it, it looks more like an object with a flat bottom, a defined shape and what looks like reflections from the rising sun off the surface or lights. We didn’t hear any unusual sounds. Unfortunately, I didn’t observe it at the time but only in the photo. I am sending both photos for comparison.